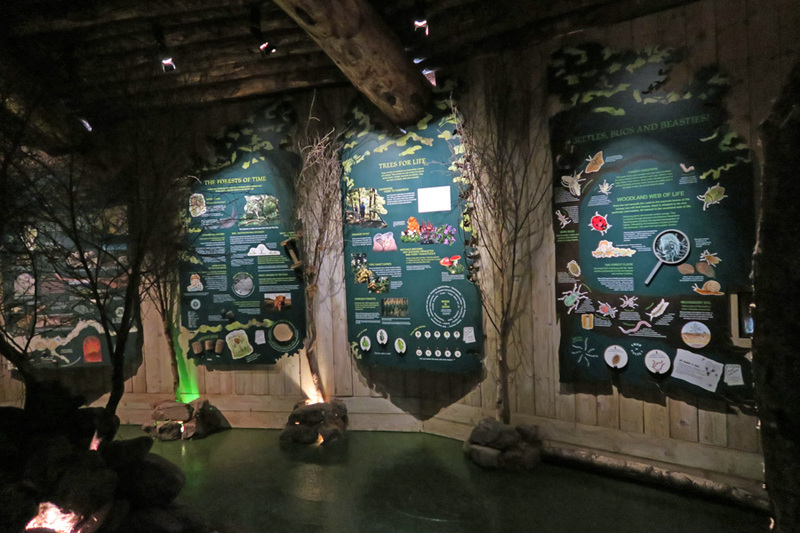 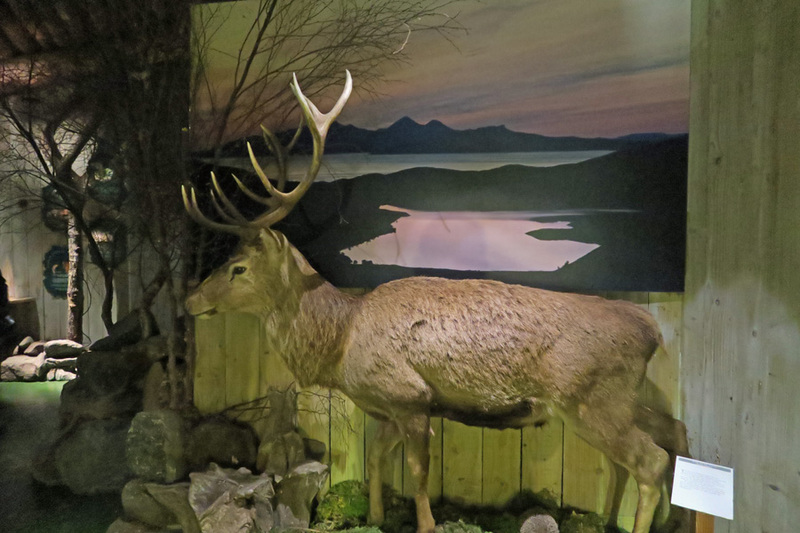 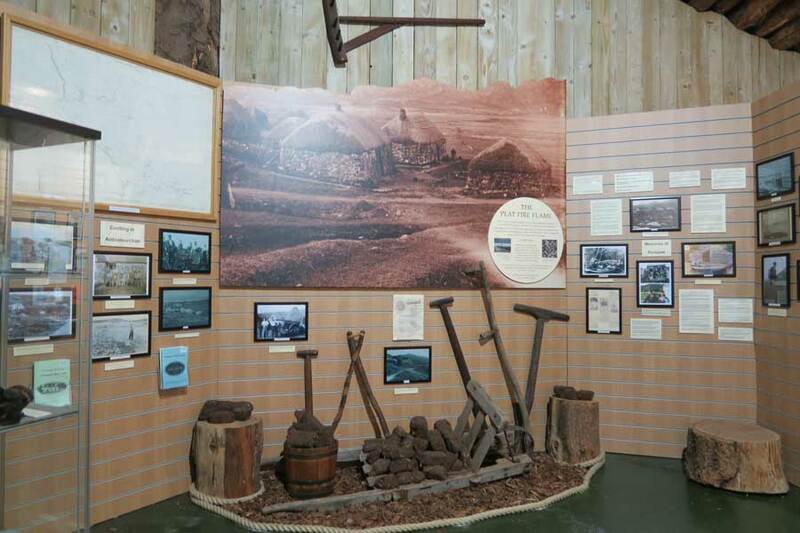 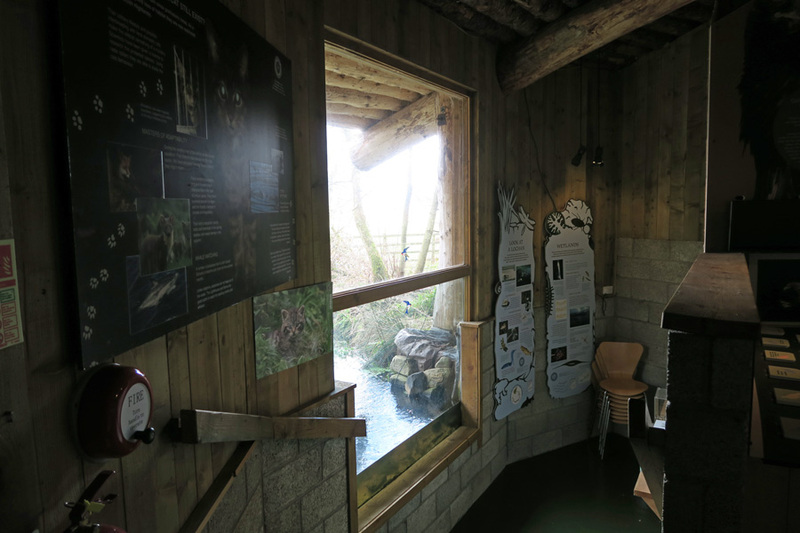 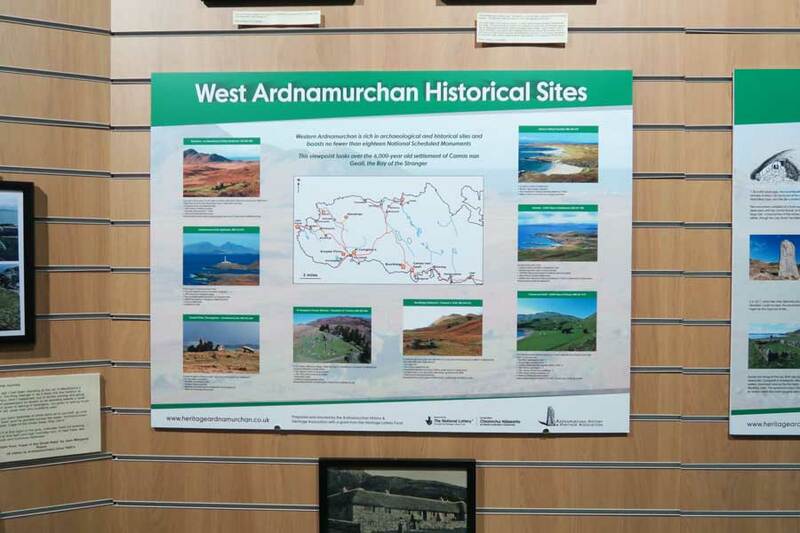 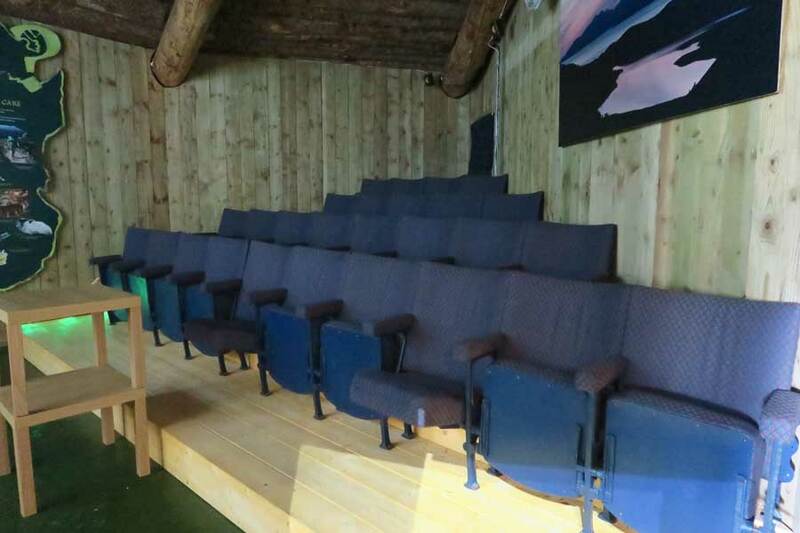 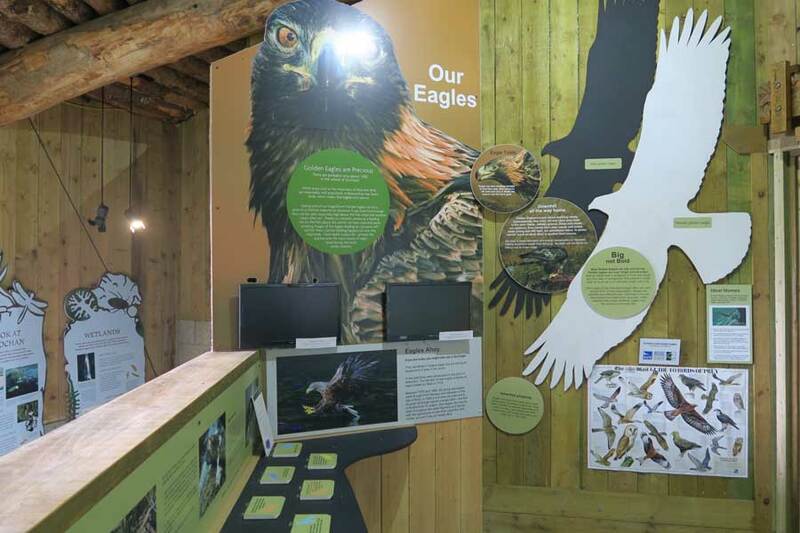 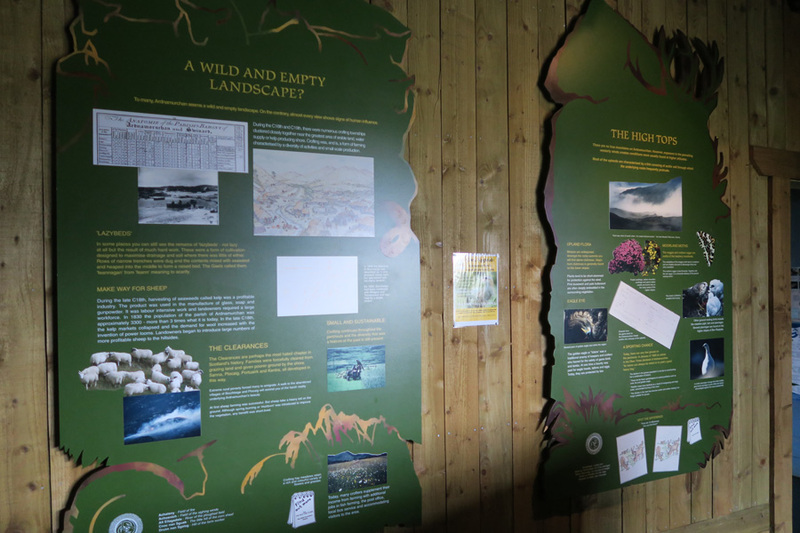 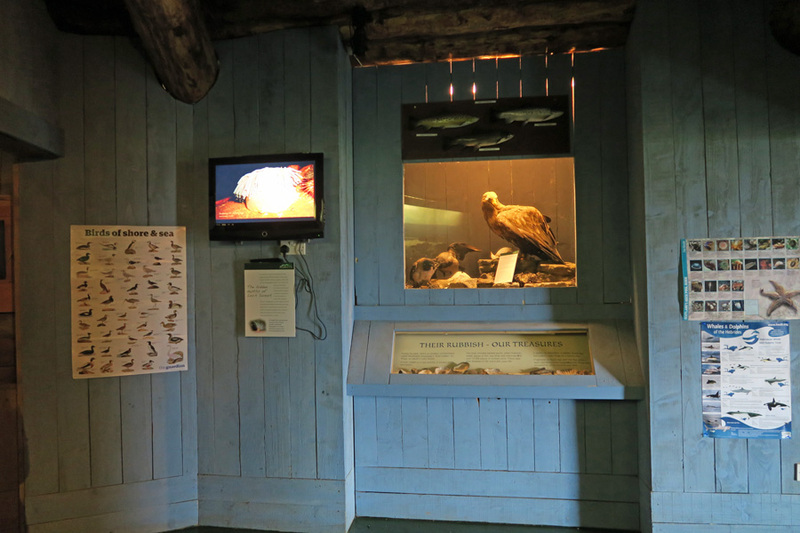 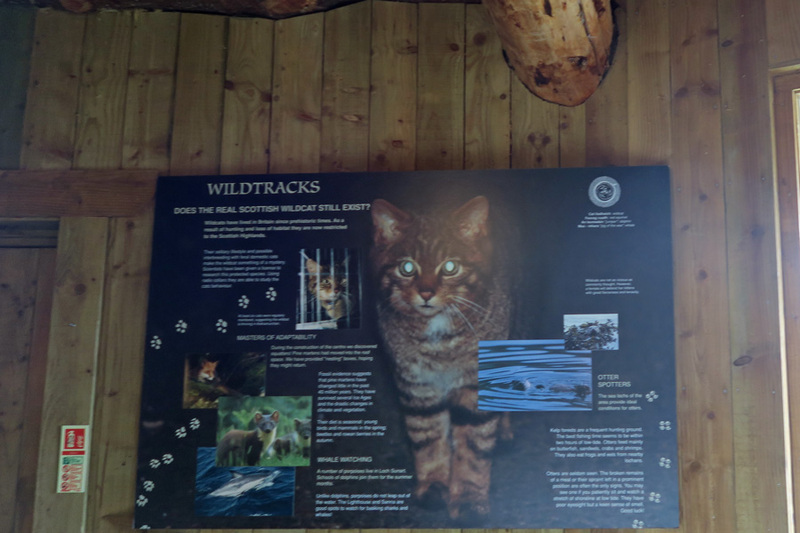 The exhibition centre (the Living Building), built in 1992, with its wooden frame and turf roof, includes a range of exhibits, displays, interactive resources, and audio visual presentations to showcase the landscape, geology, and flora and fauna of the Ardnamurchan area. 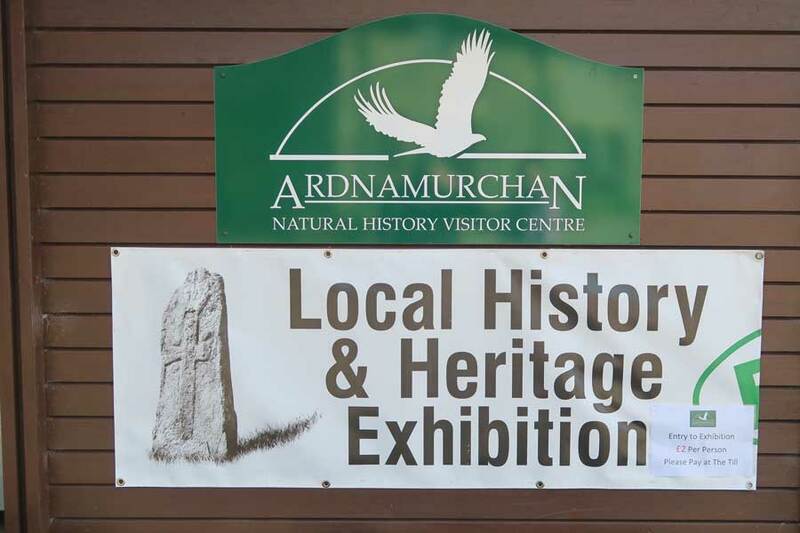 There is a charge of £2 to enter the exhibition in 2019. 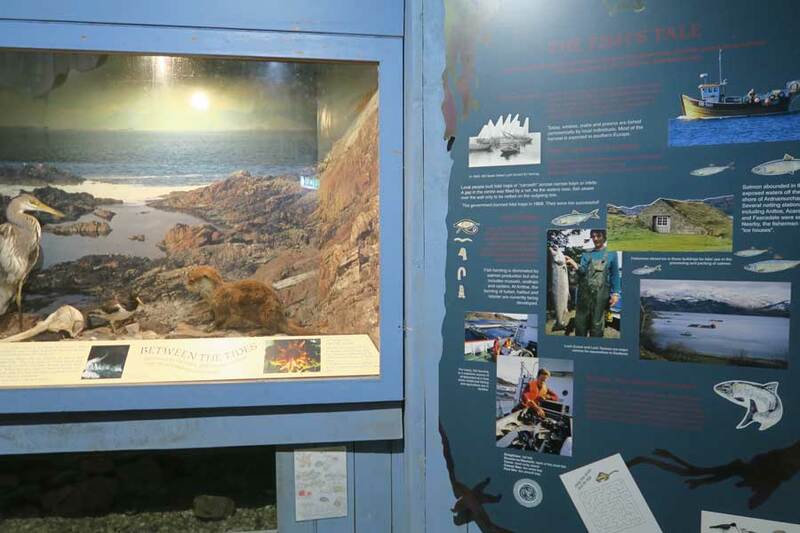 Please note that exhibits may change from the photos shown here. 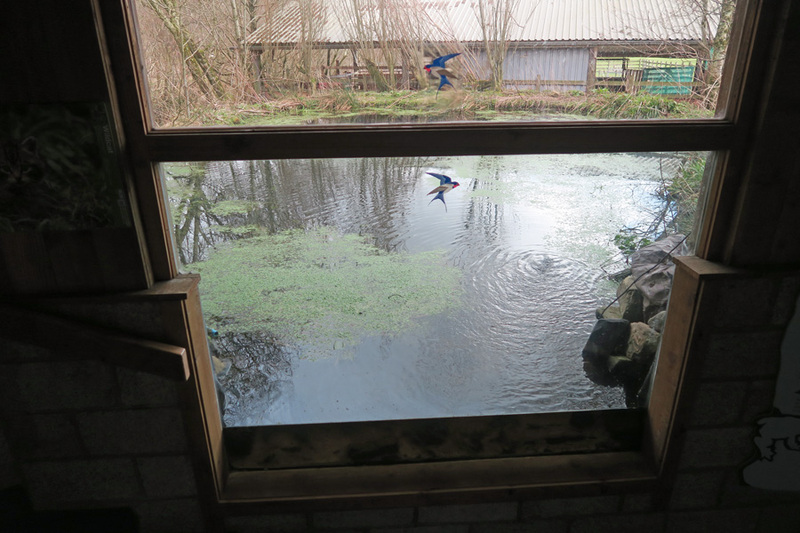 There is a bird feeding station and a pond, both of which can be viewed from inside the exhibition building. 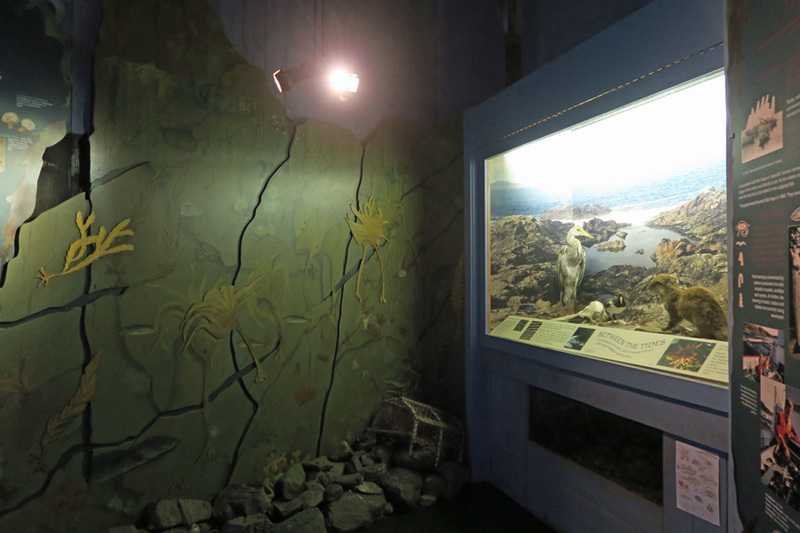 The pond can be viewed from both above and below the waterline, giving a unique insight into aquatic life. 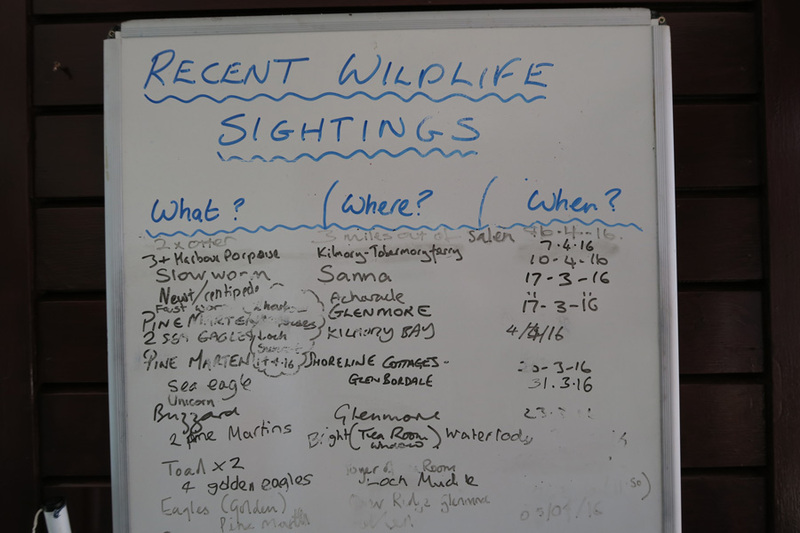 Other local wildlife on the Ardnamurchan peninsulas, Sunart and Moidart is recorded on a sightings board. 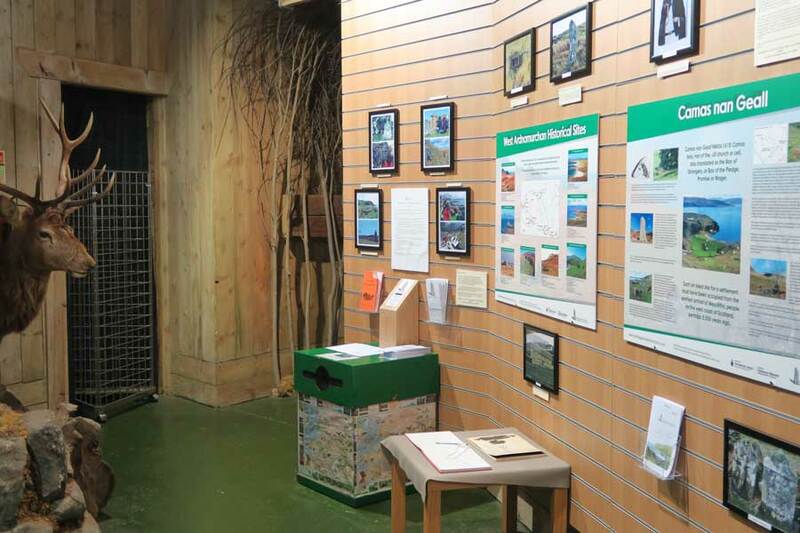 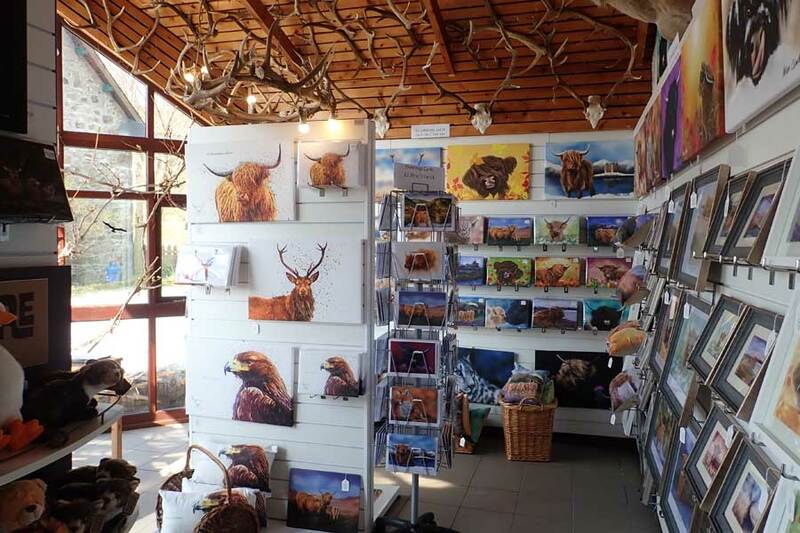 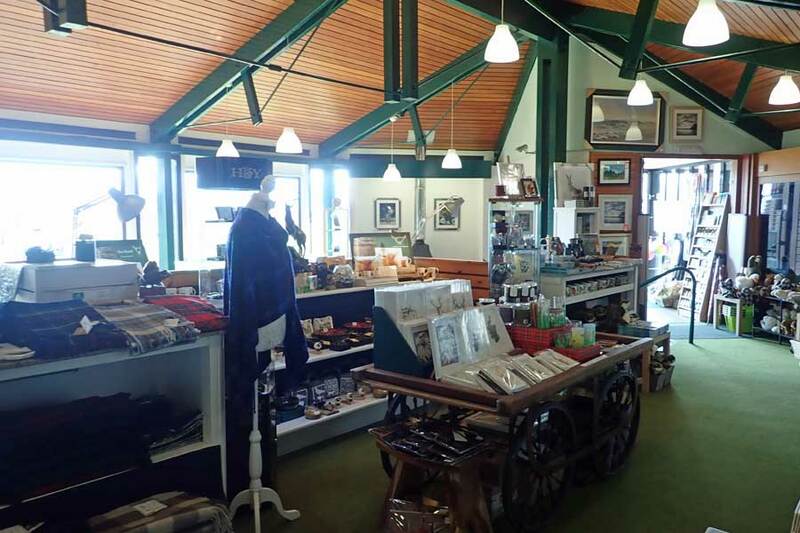 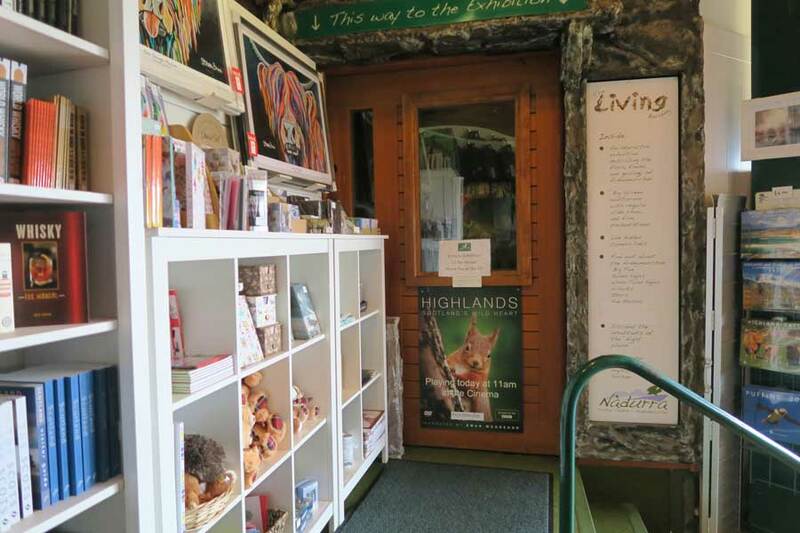 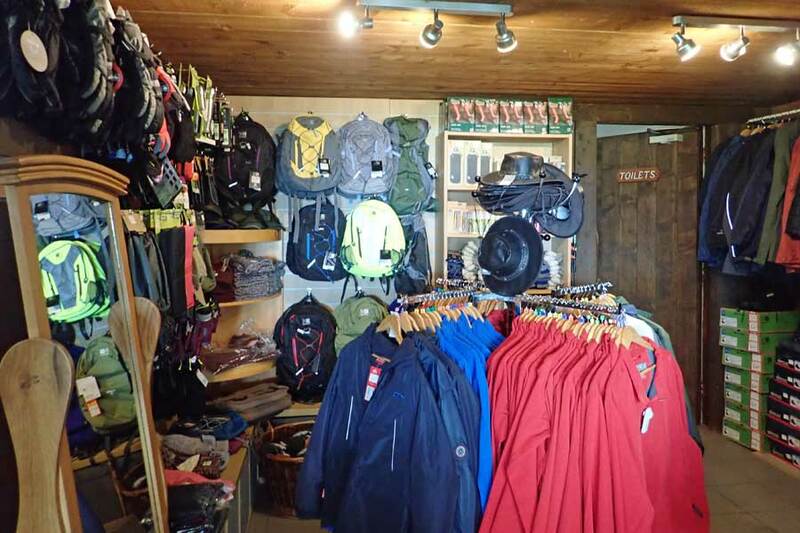 There is also a gift shop selling gifts, prints, toiletries, maps, books, CDs and DVDs. 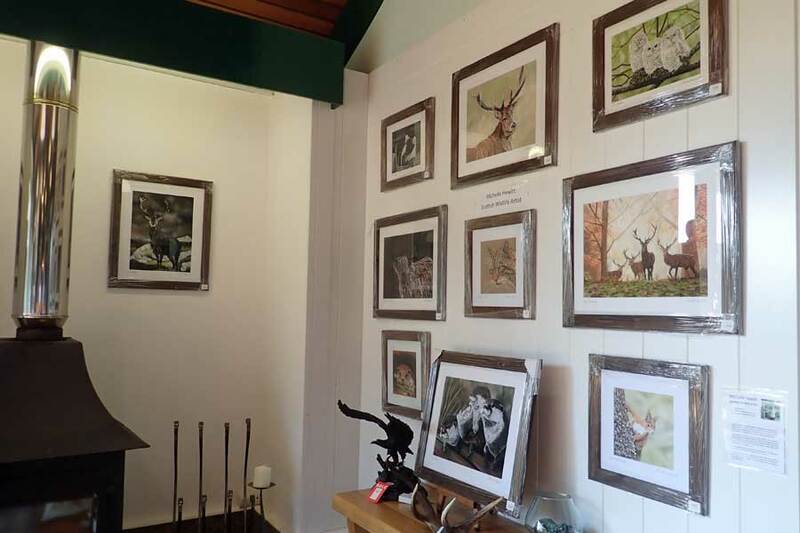 The centre also showcases work by local artists. 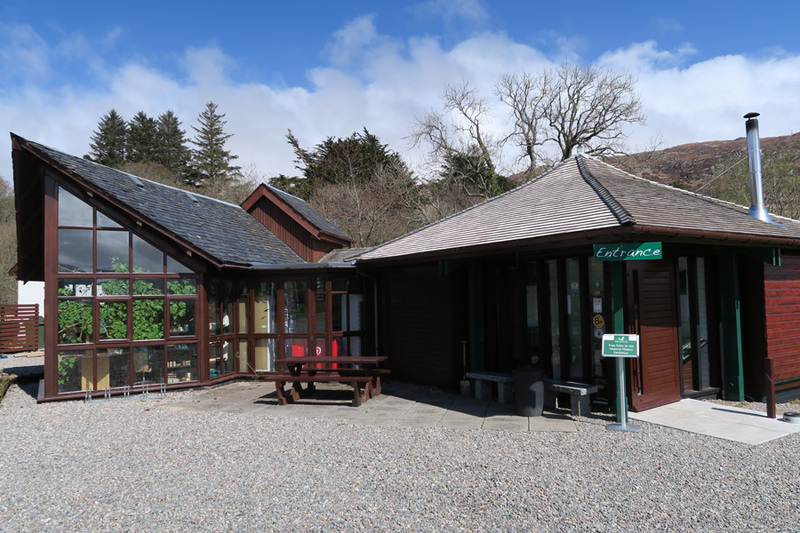 The Lochview Tearoom serves light lunches, afternoon tea, hot and cold beverages and a selection of cakes and scones. 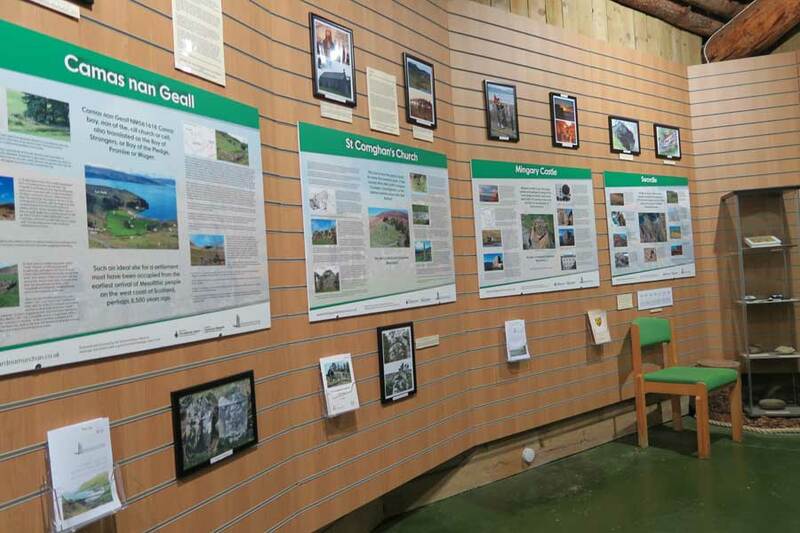 There are also picnic benches and interpretation boards outside. 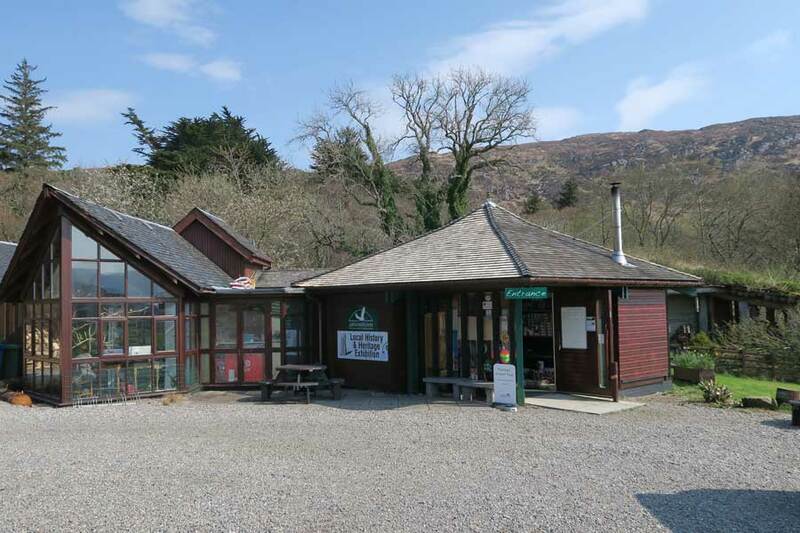 A great place to stop on your way to Ardnamurchan Point. 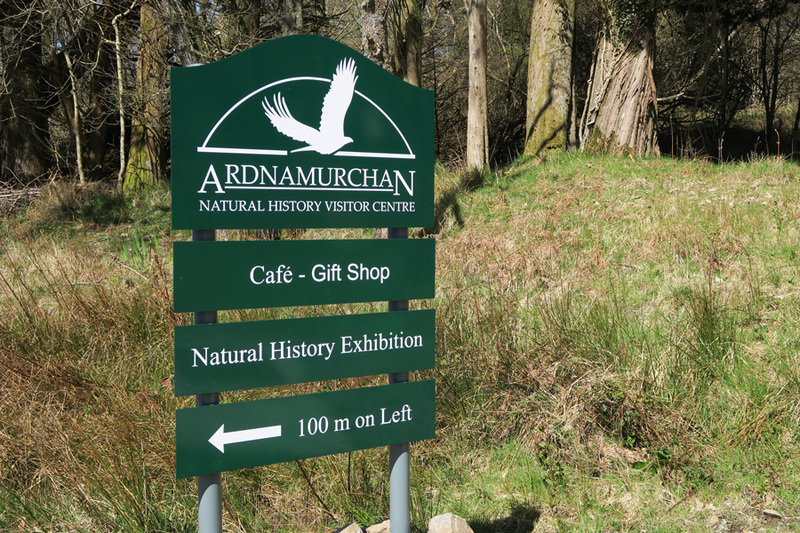 Please check the Ardnamurchan Natural History Visitor Centre website for opening times and further information.